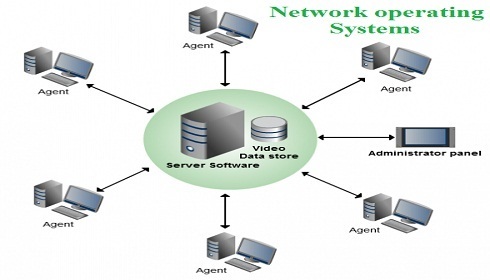 Network Operating System refers to software that implements an operating system of some kind that is oriented to computer networking. The network operating system is designed to allow shared file and printer access among multiple computers in a network, typically a local area network (LAN) and a private network or to other networks. All type of documentation and professional study material are provided. We have expert professional and tutor for providing all student who need help. Online tutorial service is also available for everyone who wishes to learn the Network Operating System. What kind of assignment help for Network operating system we provide? If any student is new to the Network Operating System, the best place to start learning is assignmenthelp.net Online tutorial is also available for students who wish to learn in Network Operating System at nominal cost. We present every help for assignment, project, homework, and Network Operating System help. If you are facing any problem with the NOS then they can chat with the expert professional and tutor to get solution for the problem. Network Operating System documentation is also presented here with example screen shot and explanation for all students from schools and colleges. Our expert team is always available 24/7 live to provide help within time for everyone at a minimum cost. All services at the assignmenthelp.net are open to all at minimum cost. NOS supports processors, protocols, automatic hardware detection, multi-processing of applications, like authentication, authorization, access control. Network operating systems distribute their functions over a number of networked computers. It adds functions that allow access to shared resources by a number of users concurrently. NOS computers take on specialized roles to accomplish concurrent access to shared resources.